What’s this content marketing strategy thing all about? Content is one of life’s essentials. It can be anything from the conversation you have with a friend, to important news you receive by email, to a blog post that helps you decide where to go on holiday. Content also has a big part to play in business. This can be business-to-consumer (connecting with people through positives like pleasure) or business-to-business (helping people to resolve their problems). Content, in all its forms, is big. Social media networks are booming and blogs are part of the everyday online landscape. Recent research has found that consumers now pay more attention to online reviews than to traditional word of mouth when choosing a product or service. Content may be big news right now, but there is something missing. Why use a spear when you can use a net? The missing element is a clear content marketing strategy. Content without a content marketing strategy is like fishing with a spear instead of a net. It is more time consuming, more demanding and more of a drain on your resources. But what exactly is content marketing? Content marketing is the approach of fitting your content within a structured and measurable process to create better results in attracting leads and transforming them into customers — and increasing revenue. Maintain and engage with your prospect community more deeply and profitably than your competition. Improve your pipeline of qualified prospects. Measure your whole marketing spend. Deliver more high quality leads for your sales teams. Focus on developing your market — not just a campaign. Deliver a consistent flow of new leads to your sales team. Improve your ROI on marketing spend. Remove the business “pains” created by outbound marketing. A content marketing strategy allows companies to fit their content into a five step process which matches their customers’ buying behaviour, creating a clearer and more consistent sales funnel. A content marketing strategy allows you to engage in advanced storytelling through behavioural communications, nurturing your prospect along the buying process. Nurtured leads have been found to be worth 9% on average more than a lead which isn’t nurtured. Done the right way, a content marketing strategy allows you to see the impact of your marketing activity as it’s happening. With an effective content marketing strategy, you can see exactly how much revenue your marketing content has generated, right down to the individual customer. Sounds great. But how does it actually work? A great content marketing approach follows five clear steps. It also takes full advantage of the right technology to measure the impact of your marketing activities, including smart marketing automation technology that allows you to automate the content you distribute to individual leads according to their level of interest. Listening lies at the heart of every successful content marketing strategy; actively listening to the demand for your particular product or service, as it’s happening. Think of what you do when you’re planning to buy a car. Most people will ask for ideas and opinions from friends and family, checking the internet for reviews, even joining one or two forums. This is exactly how your potential customers are behaving right now. 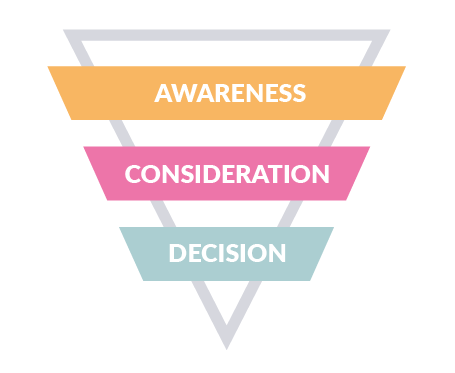 Instead of sending out untargeted, generic content, a content marketing strategy allows you to manage and track the progress of your prospects through the three key buying stages: Awareness, Consideration and Decision. Any other reasons for a need for your service (this could be the hidden or latent business pain)? Where do they spend time when they are online, i.e. do they visit blogs, social media or specialist forums? Your content plan allows you to map your customer’s buying process and connect up your entire approach to create a longer and more profitable sales cycle. Creating a stronger sales cycle could follow, for example, the pattern of going from linking with a prospect via social media (the awareness stage), then taking them to a landing page to an offer of an eGuide (the consideration stage), then to automated lead nurturing messages to continue to warm up the contact, creating a potential customer who is interested in knowing more about your product or service in a more permission-based way (the decision stage). The key to creating results is to plan your content precisely around your customer’s buying process. Content marketing is nothing without the right technology. And the right kind of technology is the type that allows you to listen to the demand for your service or product. We use Hubspot’s lead scoring dashboard for our clients because it gives us a 360 degree view of exactly what’s happening across all their channels at the same time - in real time. Listening isn’t simply about waiting around, hoping for random feedback. It is about measuring and monitoring the level of interest in your content and your business and responding fast to new opportunities as they come up. Awareness: At this stage you’re aiming to get noticed by your prospects by targeting them with unique and compelling content. Because you’ve done your strategic listening, you know what your prospects are thinking about so you can create content that answers those needs. Consideration: Now that your prospect has got to know you, what’s going to turn them into people who value what you have to say? This is where you start to draw the needs of the prospect closer together with the value of your product or service. To see an example, take a look at a white paper we created for our client, Coburg Banks. Decision: At the decision stage you are aiming to convert people from prospects into customers. Now that they trust you and value your expertise, you can demonstrate the value of your service and product. And because you can track and view exactly who is looking at which content on your website and social media networks, you can pass the hot leads straight on to your sales team. It might sound cheesy, but your content isn’t the only vital asset in your content marketing strategy. Having the right skills within your team is too, so understand what you’re getting before you sign up an agency. Without engaging effectively with your audience, your content marketing strategy is just… content. The engagement stage establishes a two-way relationship which helps to build knowledge of (and trust in) your products and/or services. To engage means to get your content marketing out to the right places and make it as easy and compelling as possible for your customers to connect with and respond to your content. If you think of content as your window display, a content marketing strategy is the experienced shopkeeper who expertly draws the window shopper inside, woos them, wins them over and makes the sale... time and time again. The transforming stage involves turning ongoing conversations into leads and leads into new customers by telling a compelling story to your prospect, whilst keeping your product or business firmly centre-stage. Lead management: Do you have the skills and resources in place to manage existing leads and handle new ones as they arrive? Lead scoring: What technology do you use to rank leads in terms of value? We use Hubspot to score leads for our clients to identify which leads are the most engaged and the furthest down the buying process. Stats to back this up? Lead nurturing: Our approach is to use Hubspot’s lead nurturing technology which allows us to analyse, understand and nurture leads into customers by tracking their complete lifecycle, from initial contact to final conversion. Any stats we can add here about LN for specific client? If marketing with a bit of content is like buying a loaf of bread, marketing through content management is like buying and planting a field of wheat — and taking on a team of farmers and master bakers. One works on a very limited basis while the other, done right, allows you to constantly and consistently update your reach, traffic, leads, sales, business growth and customer retention. The growing stage lets you continuously track, improve and grow your results in a more complete way. But it can’t be done without continually updating your content, message and brand using the right technology. By including a growing stage in your content management process, you’ll ensure that your customers come back for more, forming part of a well-established client-base that grows as your business does. Can you do content well? Is your content adding real value? Find out with our content capability audit now.